Ocala Breeders’ Feed & Supply proudly stocks high-quality poultry feed & supplies. 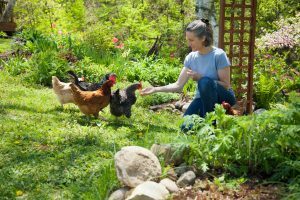 Whether you have one chicken as a pet or a coop full of egg-producing hens, we have all the poultry feeds and products needed. The poultry feeds we stock come from manufacturers that and well known and trusted in the industry, such as Manna Pro, Purina, and Durvet. Medicated and organic feeds are available in small and large sizes. From chick starter feeds and the items you need to keep chicks healthy and thriving to laying feeds and coop supplies for your happy flock Ocala Breeder’s Feed and Supply aims to be your resource for poultry feeds and products. Browse a small sample of our selection below or stop into one of the locations today and speak with any member of our helpful staff. Don’t forget, we’re happy to place special orders for our customers.